A U.S. District Judge said on Wednesday that she will "probably" deny Apple's trademark infringement request to block Amazon's Appstore for Android because the iPhone maker has yet to produce "real evidence" that customers have confused it with the App Store. At a hearing in an Oakland federal court on Wednesday, U.S. District Judge Phyllis Hamilton remarked that Apple has a "stumbling block" in proving that customers would confuse Apple's App Store with Amazon's Appstore for Android, Reuters reports. That obstacle is Apple's inability to produce real evidence of actual confusion, the judge said. Im troubled by the showing that youve made so far, but thats where youre likely not to prevail at this early juncture. Hamilton has yet to make a final ruling in the case, and plans to reread some of the supporting papers, according to an individual present at the hearing. In March, Apple sued the online retailer over its use of the App Store trademark. The complaint accused Amazon of "improperly using" the mark for its mobile software developer program and "unlawfully" using it to attract developers to its platform. Apple stated in its filing that it had contacted Amazon three times asking them to cease using the trademark, but had not received a "substantive response." 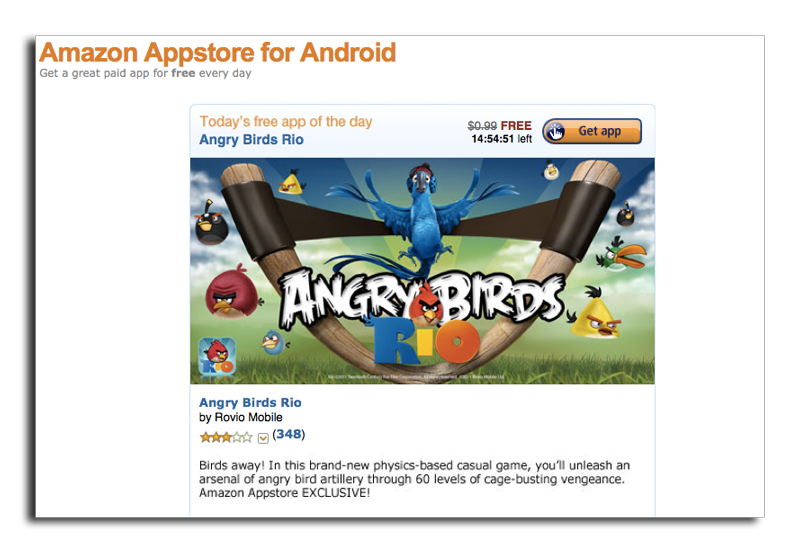 In spite of the suit, Amazon proceeded with opening its Appstore for Android just days later. The digital download service includes a "Test Drive" feature that allows users to try out an Android application before buying it. Amazon eventually responded with a filing, claiming the "app store" term is generic and would not cause confusion. Apple has countered the argument with subsequent filings, including one that alleges the Amazon Appstore is "inferior and will tarnish Apple's mark." According to Apple, Amazon's storefront poses a security threat because it offers applications for "rooted" Android devices, which are more vulnerable to security breaches. Microsoft has even cited Amazon's store in its own objections to the mark. The Windows giant has been the most vocal opponent to the "App Store" trademark, alleging that the term is generic. Apple responded by asserting that if the App Store trademark is generic, so is Microsoft's Windows mark.